There are 2 ways to Install ClockworkMod v5.5.0.4 for Samsung Galaxy W GT-I8150. - then load the md5(recovery-clockwork-5.5.0.4-ancora.tar.md5) file with the One Package button. - put ur phone it into download mode, first turn off phone, then hold Volume Down + Home + Power Button for a while. - Phone will turn on and show some screen, then you plug in usb cable. 1. You have to root your phone. Click here to root your phone if you haven't yet. 2. Copy the downloaded file (recovery) to USB storage. Unplug your phone from PC. 3. Install android terminal emulator from market. 4. Tick USB debugging dekat setting-application-development. How to check whether your phone has already installed clockworkmod or not ? 2. Turn on your phone (hold volume up button + home button + power button ) and release power button as soon as samsung logo appear. 3. Hold your volume up button + home button until clockworkmod recovery appear on the screen. 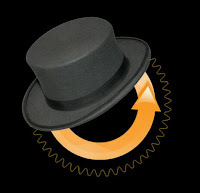 how do we check if our phone has already installed clockworkmod? I guess I did it already but i'm not sure. 3. hold your volume up button + home button until clockworkmod recovery appear on the screen..
is it a box with and android robot? It should display a recovery menu (clockworkmod) instantly after the samsung logo disappear.. I guess you still not install the clockworkmod recovery.. If it display a box with and android robot, it is still android recovery not clockworkmod recovery.. The clockworkmod recovery should look the same like this one.. It works for me with odin :-) thank you for this great tutorial. now i can finaly make a backup of my stockrom and test out some others. thumbs up! glad u can make it.. This link has expired or become inactive! Check out our Help Center and forums for help, or head back to home. is it true that i need to have Kies in my PC in order to flash cwm via Odin?? yes. u need a PC to flash cwm via odin. may I ask how to uninstall clockworkmod? Simply back to factory data? you need to flash stock rom back..
thats the only way to get back android recovey that i know..
im gonna make a post on how to flash stock rom back. do i need to active USB debugging ?? yes, u need to tick USB debugging if u use method 2.
no need to tick USB debugging if u use method 1 because you just need to flash using odin in method 1..
but in odin always say "please connect phones", what should i do?? before connect ur phone with ur PC, you need to put ur phone into download mode. second, hold Volume Down + Home + Power Button for a while and release power button as soon as samsung logo appears..
then, it will give a warning bla2.. just press volume up to continue..
your phone now in download mode when it shows DOWNLOADING at the screen..
now you can connect ur phone. hi, i think i have succeeded in rooting my samsung wonder. but i cannot get into recovery menu. after samsung logo, it just blank. now i cannot boot to android also. please help? you need to hold Volume up + Home + Power Button for a while and release power button as soon as samsung logo appears to get into recovery mod. it is a more advance recovery mod for android..
by default, you get an android recovery mod [default recovery].. Turn off your phone, hold Volume up + Home + Power Button for a while and release power button as soon as samsung logo appears. Press menu to display the list of menu. I tried to install CWM thru Odin, but it hanged in the "Downloading, do not turn off target!!!" for 1 night already. Any suggestions would be helpful and appreciated..thanks! you need to connect your phone to pc and flash via odin..
it reboot itself when it's done..
hi hunter.i successfully install CMW via odin.then i use cmw to install the tweakzv6.but unfortunately after i reboot the screen turn blank after the bootanimation.plez help?am i've bricked my phone? wait a few seconds or minutes..
usually it takes time when u flash something..
help me hunter..i think im got the big prob..
when my phone in odin mode or downloding mode..
pull out your battery for 10min and make sure it's not too hot. put your battery back but dont turn on the phone. charge your phone until battery is full. when my usb cant recognized in downloding mode..im tired search this prob in google..
Shall I uncheck reset time in odin ? you want to use method 2 right? if using method 2, just put the recovery.img file in internal sd. then use android terminal emulator (u can find it in market) to type the code given in the post. yeah it works man...but i think i didnt tick the usb debugging..what is the worst thing that could happen..?? btw i want to upgrade my android 2.3.6 to 4.0 using cyanogenMod 9...is it adviceable...have u tried it ?? You can install CWM without tick usb debugging? I think nothing will happen since you successfully installed cwm. Yes. I once tried CM9, camera and some others function didnt work. But if you are a gamer, It's really the rom that you looking for. No lag at all playing HD games on CM9. i've downloaded all the file needed for the cm9...i want to try it..but if anything goes wrong how do i recover my rom..?? If you want to restore your previous rom after flash cm9, make sure before you flash cm9, you already make a nandroid backup. Enter CWM and go to backup and restore. Make a a backup to external sd. If you want to restore it, just choose restore from external. Best rom which can save more battery is Bionic cow V2 (For me). Longer battery life better than other custom rom for me. yeah i've noticed about that rom...but i dont really understand all the antuntu, overclock kind of stuff setting..can u teach me how to install and used the rom..?? so far how long does your battery last...?? Download Bionic cow V2 and follow the steps in the post. It is really easy to flash a custom rom. How do you unroot using cwm? I have used sd card update zip to root this phone. I dont know it this working or not since you want to use CMW to unroot. But, I tried using android recovery, and it works fine. Download this zip file(http://adf.ly/AUTYM). Flash it. Let me know if it's working or not. Hello ! Im using the method 2. How to I run the command ? 1. Download recovery.img from the link in above post. 3. Copy and paste recovery.img to internal sd. 4. Open Android Terminal Emulator and type exactly the code in the post. If im use phone 2 do this recovery can or not coz idont have pc. hi, i got a question , i followed method 1 and it worked , great but after i tried to create a backup, it was going well then suddenly it stopped and wrote an error on backing up /system. would you know why ? and how to properly create a back up using cwm . its my first time. why my camera is not working when i used CM9? why on downloading mode when i connect usb it always say please connect phone? do i need to unroot it first? my samsung galaxy w cannot turn on but can get into the odin download mode..why?? i press my power button the screen is still dark even i press it more then 15 second..
Why do adb is not working for me? When i try to dl it it says "unnamed file not found" what do i do?? I'll try thanks i just bought galaxy w this post helps me a lot once again thanks you are amazing guy..
hey im using linux based laptop and im trying to do it using the terminal but its not working i have tried it 5 times and nothing happens it just gives me finished in 0.236 seconds something like that and i go into recovery mod and the android with the box is still there what should i do? i dont now wath the prob ?? can somebody help me here? look,i've got everything working,except for the downloading process.it took me so long that makes me want to type my problem here. how long,on average,does it take to download the CWM? alright,forget it. i got it all working. now,just a question.doest CMD backup EVERYTHING?i mean really EVERYTHING? does it mean my apps that were installed to SD(i mean,using app2sd)wouldn't be backed up? kalau guna cara odin kena install kies ke? now my galaxy w had been shown "firmware upgrade encounter a issue" so how can i solve it? flash stock rom via odin. is there any virus if I install this into my PC? I am facing a problem...after connecting my phone (which is in download mode) via USB, it shows that driver's installation failed. I mean, should I download KIES or something on my PC? My phone fails when backing up my system in CWM, When I boot it into CWM the logo doesn't appear under the samsung galaxy w logo either, when I installed it via ancora only the first box was said pass, the others were empty and never did anything, any reasons for this? hey i wanna ask u..put recovery in usb storage? ?..in internal stroage or u seriously usb storage? Not working on my galaxy w.. why? i cant set up the theme,animation and many more.. help me. but why the camera not working?? I hv tried many times with other port too.. still get error. Please help. I stuck in this error. Hunter which part you stay in malaysiaa?? hey, can odin still functional when usb debugging did not turn on? Hunter..i install cwm using odin method..for the 1st time i enter to recovery mode..it works..but when i want to enter for 2nd time..it said that "ramdump"..force upload...what should i do? Should i reinstall it back? i got into download mod but the odin still say please connect phones. what if i tried to flash cm 10.1 using android system recovery? there are any danger from flashing the CM 10.1 alpha using original recovery mod. kena ada connection k baru bleh guna odin ?? Hunter, can I use the same code u displayed above to install ClockworkMod v6.0.3.0 via adb? I updated my stock rom in samsung galaxy w GTi8150(2.3.6) to cm10.1 4.2.2 jelly bean, through CWM, but stuck in the boot loop, anyone here plz help me out. how long will take in...method 1 .? how to flash a custom recovery if my galaxy w is running 2.3? and how can i root my phone or unlocked the bootloader? boom yeah.. I have flashed it using rashr app in a minute haha.. simply amazing man.. So, any question or problem ?